Product categories of Garden Border Fence, we are specialized manufacturers from China, Garden Green Border Fence, 400mm Garden Fence Mesh suppliers/factory, wholesale high-quality products of Strong Garden Border Fence R & D and manufacturing, we have the perfect after-sales service and technical support. Look forward to your cooperation! Garden Border Fence is very commercial wire fence for garden using, due to its shape and large mesh, this kind of wire mesh is mainly used as a decorative wire, especially round borders. With its high quality galvanized wire inside and green PVC coating outside, make it long life time and UV protected. 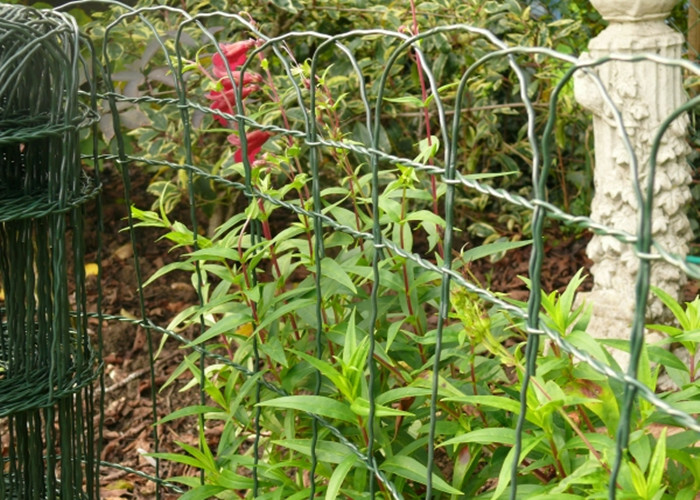 Decorative fence for garden border or flower gratings.